6 x 6 x 12' Treated Wood MicroPro Sienna Treated Wood uses the only wood preservative technology that is low VOC and certified as an Environmentally Preferable Product. Innovative colour pigment technology gives the treated wood a warm, finished look. 6 x 6 x 12' Treated Wood is rated 5.0 out of 5 by 1. Rated 5 out of 5 by Darterjon from Exactly how it should be. I only needed 1 but the whole lift was outside and handy and I didn't see any with cracks or damage. The clerk was most helpful as well. 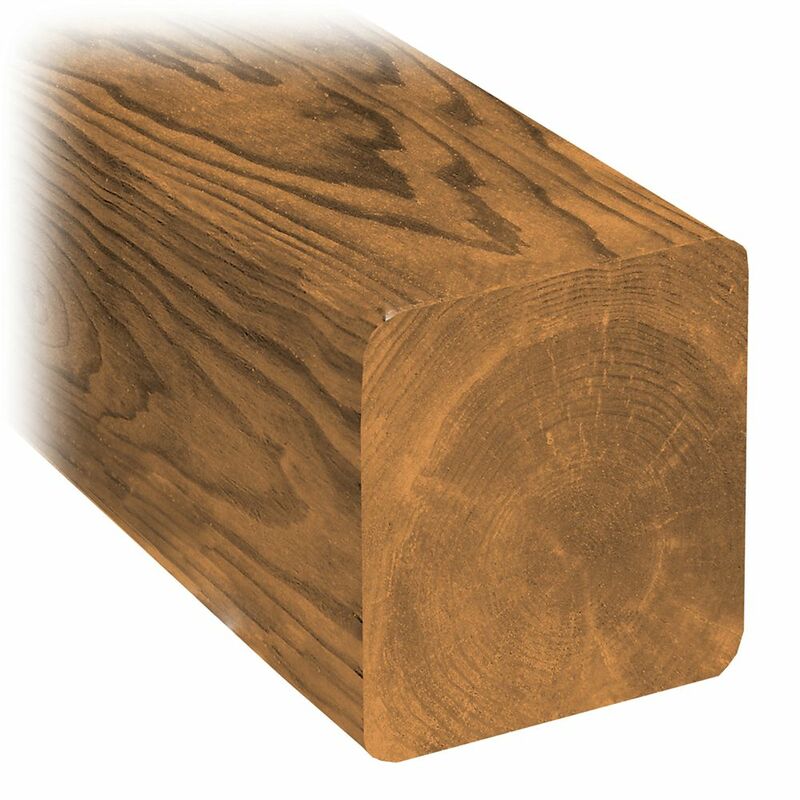 Can this wood be cut to a specific length in-store? Greg64, The 6x6 product is too large of timber for the saw, it cannot be cut at Home Depot. What is the retention level (in lb. per cu. ft.) for this product? Is it ground contact recommended? StblJmpr, for technical data please go to microprosienna.com.